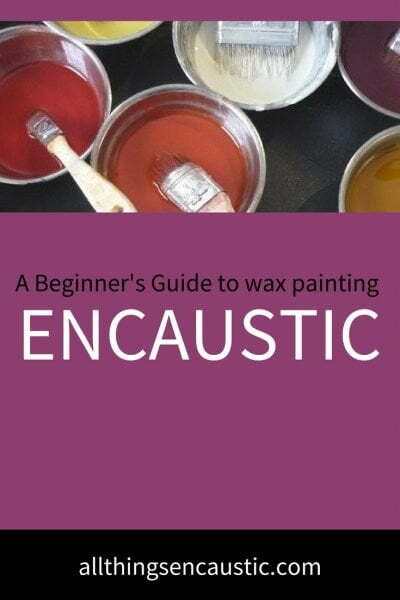 If you’re not sure how to use the heat-resistant sponges and scrapies with the encaustic iron: here’s a free tutorial with lots of pictures. This slideshow demonstrates various sponge painting techniques including drawing patterns in the wax, stippling, stamping, and dragging. You will also see how to use the rubber tipped scrappy tool to draw in the wax and how to clean your sponges. How to cut the coarse, orange sponges: Use a pair of scissors. Release the wax by placing the card on the upturned iron and pressing the sponge on the card. To make a bamboo shape: stop at several intervals, press and lift the donut, then place back on the card a few mm’s lower and drag again. 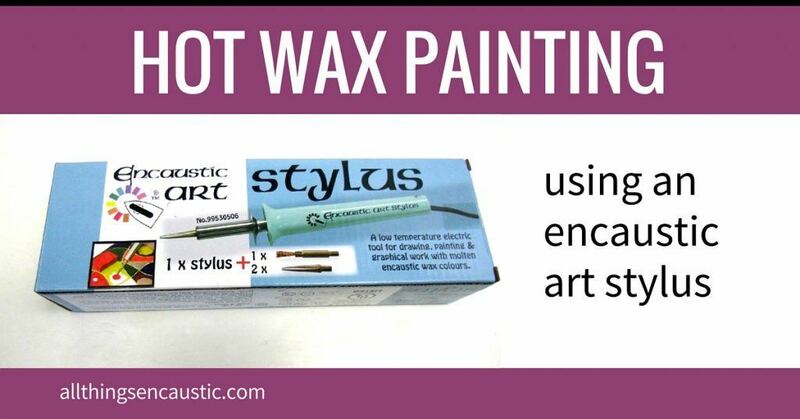 Use the Scrapy with a rubber tips to draw into the soft wax. 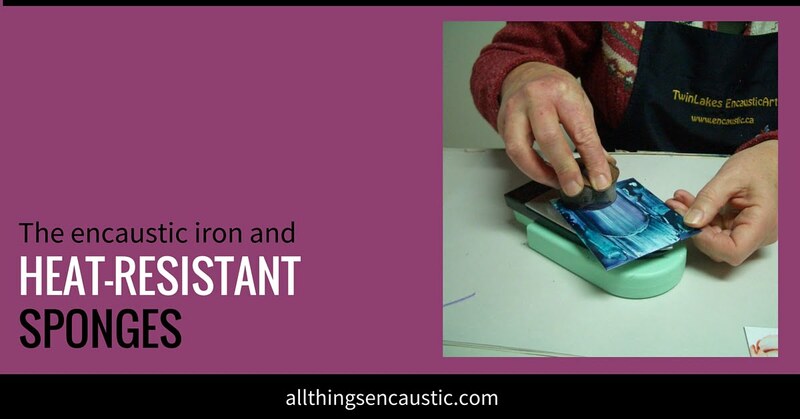 Put a piece of tissue paper on the upturned iron and press your dirty sponge into it. The wax will come off on the tissue. Repeat as needed. Start with heat-resistant sponges and scrapy texturing tools. Dutch artist Thea Haubrich studied at the Encaustic Academie in Germany to become a teacher of Encaustic. In 2004 she moved to British Columbia, Canada. Thea was a member of several art councils, the International Encaustic Artists and the South Okanagan group, the Rip Off Artists. In 2008 she was awarded active status with the Federation of Canadian Artists. Thea Haubrich passed away in September 2013. Where can I purchase the heat resistant sponges?